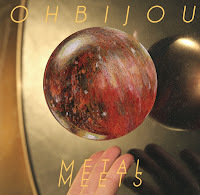 Toronto's Ohbijou haven't had much difficulty attracting fans to their mellow, almost otherworldly music. On September 27th they aim to mesmerize even more listeners with their third studio album Metal Meets. 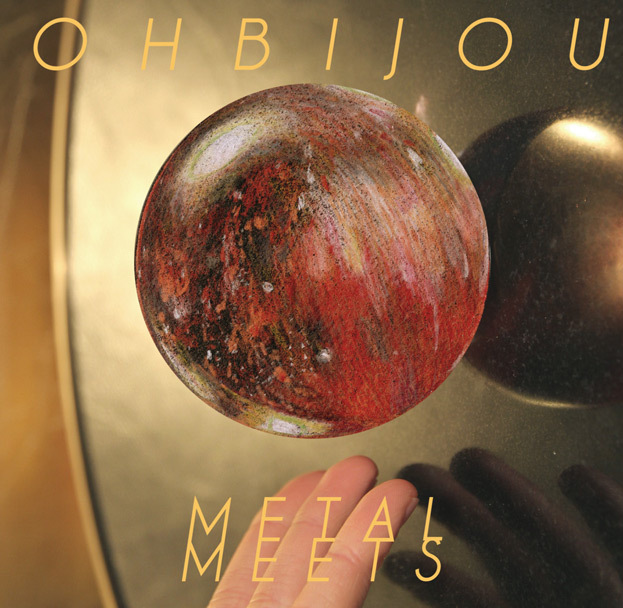 Ohbijou's music is much more about feel than it is about the sound itself. They don't really create songs as much as they create atmospheres and moods for their listener to immerse themselves in. It takes a very considered and meticulous songcrafter to be able to achieve this as effectively and consistently as Ohbijou manage. It takes more than one element to be able to set a mood like this. One of the most obvious is the vocals of Casey Mecija. They are delicate and innocent, and above all, absolutely beautiful. The arrangements work hand-in-hand with the vocals. The traditional guitar-bass-drums are similar to what you'd get with many dream pop bands. With that foundation solidly in place, elegant string arrangements and swirling synth pieces serve as the link between the base and the vocals. The end result is a soothing, enchanting combination. The album's triumph is likely the very opening track "Niagara". Slightly more uptempo than most of the band's work, it achieves a sweeping scope, almost as majestic as the falls of which they sing. If you're looking to lose yourself on a starry night and those old Mercury Rev records aren't doing it for you anymore, then you should reach for Metal Meets. You won't regret it. Ohbijou play the Trinity St.Paul's Centre in Toronto on September 30th.